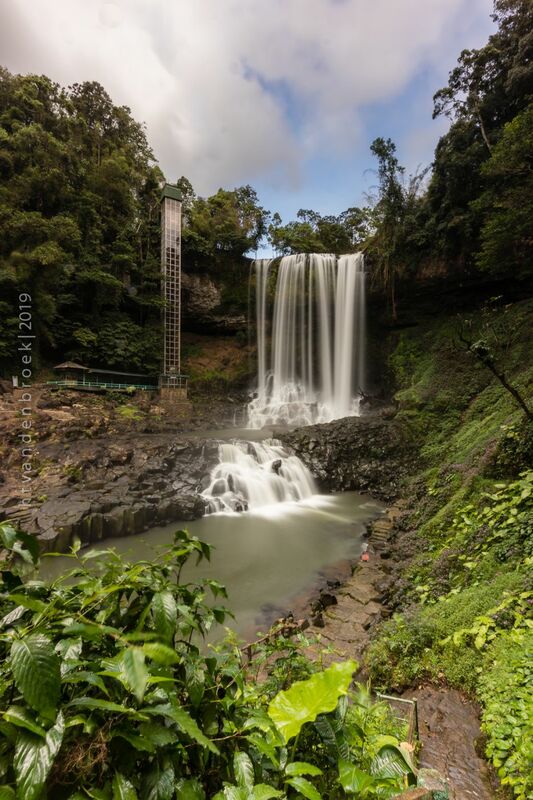 The Dambri waterfall, Bao Loc, is Vietnam' largest waterfall, situated 130 km from Da Lat. This massive 70 m high waterfall is a major attraction site and apparently, they racked up the prices compared to a few years ago (currently >200 000 dong). Unfortunately, the park is consumed by tasteless development including a mini roller coaster that takes you to the smaller Dasara Falls. Although I can definitely tell it can be really crowded at times when we arrived there were way more staff members than visitors. Besides us, there were 4 others.. great for photography though! Apart from the negative points, it is worth a visit as it really is a beautiful waterfall and the largest in the country. It is situated 130 km from Da Lat and 200 km from Ho Chi Minh. Thank you Thijs van den Broek for creating this photo spot.